Let’s face down the basics – you want to build new muscle, right? You know it will not be an easy task, but it is one that you are certainly ready to face! Training is important, but you know that everyone around you trains to the utmost of their potential. You’re in the gym 90 minutes a day with your buddies, destroying those weights. No, training seems to be equal and at the peak of your potential. It’s the fuel for that training, as well as the recovery, that you need to address. 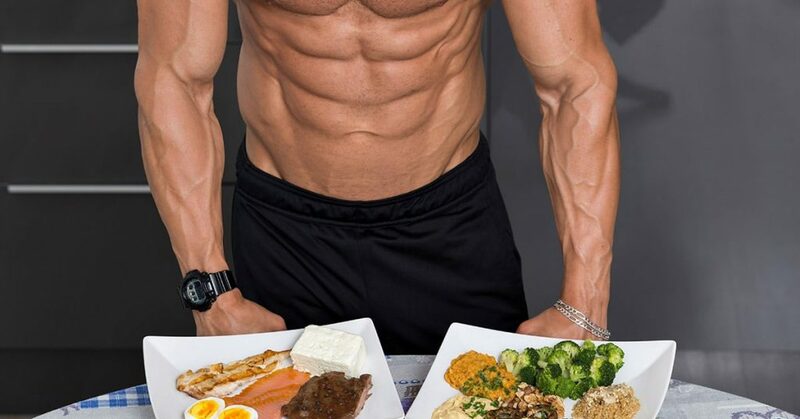 Let’s look at the basic key components for bodybuilding sports nutrition. When you consume the macronutrient protein, your body is given a wealth of amino acids. They are shuttled to your muscle fibers and, assuming you have trained hard, they give these torn and dilapidated fibers the tools they need to grow. When you lack dietary protein, you lack muscle growth and strength gains. You should be consuming protein 5 to 6 times per day, every 3 to 3.5 hours, from quality sources including chicken, beef, eggs, milk, fish, and whey/casein sources. Fish oil is the key to building muscle and maintaining clear skin and overall health, when it comes to fats. Keep your dietary fats low, opting for eggs and nuts for your primary sources, along with the fat marbled in the protein sources you consume. Junk from drive thrus or candy wrappers has no place in your daily diet. If you want the energy to train and the tools to grow, you will need to devour some very useful quality carb sources each day. Sweet and white potatoes, yellow and white rice, beans, and plenty of fruits and vegetables should round out your menu to ensure you are giving your digestive system adequate fiber. Enriched white flour products should be kept to a minimum, as should processed sugars. Nitrox-ATP, Mesobolin, and Creatine are among the top supplement sin the world for building new muscle mass and aiding in recovery. You can make good gains without their use. However, the addition of them to your daily regimen will result in your seeing the same gains, only faster, as your recovery ability will improve dramatically. A great deal of chemistry takes place at the cellular level when it comes to growing your existing muscle base. This isn’t possible when there are vitamin or mineral deficiencies. For this reason, it is always advisable to start each day with a multi-vitamin. Then, later in the day, bump up your antioxidants with vitamins C and E. This will help to combat the free radical influx that comes with the stressors of your daily routine. Finally, use Iron or B vitamins if your need a little bump in the muscle building department. Finally, an often overlooked aspect that is required for muscle building activity is water consumption. Drink plenty of water before, during and after training, and keep your daily H2O intake between one and two gallons. This entry was posted in Nutrition and tagged Muscle Building. Bookmark the permalink.